Broadway Adventures: My My, A Whole New Journey To the Past! The last few weeks have been rather busy for us as we ended March by going to an Alan Menken concert, began April with watching the national tour production of Anastasia, and watched a regional production of Mamma Mia! about two weeks ago. On March 30, we attended “A Whole New World of Alan Menken” to hear the legendary composer and songwriter―best known for his work with Disney―perform some of his most popular songs at the Auditorium Theatre in downtown Chicago. He played a little bit of everything, from “Under the Sea” from The Little Mermaid to “Suddenly Seymour” from Little Shop of Horrors to the skit song Captain America and the dancers perform to in Captain America: The First Avenger. He also told some stories about his career, how he collaborated with other well-known songwriters, how various songs came to be, and how he got to work on certain projects. A lot of what we already knew about Menken concerned his involvement with various projects, but we didn’t know much about the collaborations he had or much about his personal life. So it was really great to learn more about a person whose music has brought us so much joy throughout the years. It was also cool learning more about his work that were unfamiliar with, such as Sister Act the Musical and the television show Galavant. We’re especially appreciative of the time he took to perform a show in Chicago, because he said his mom had just passed a few days prior. 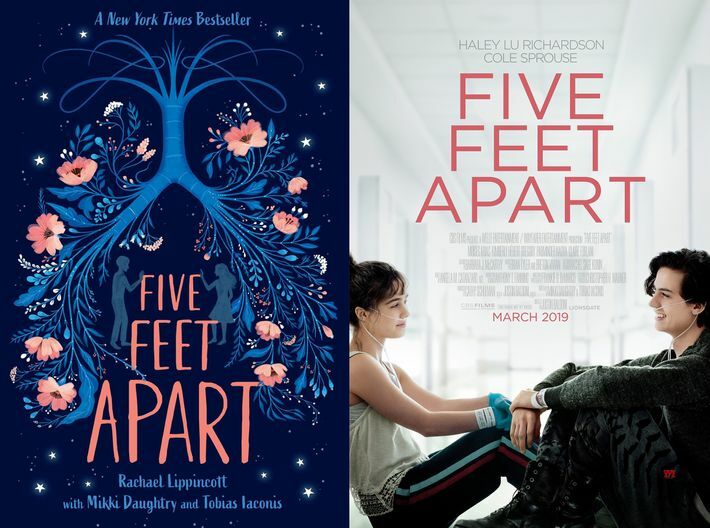 When we first saw the trailer for Five Feet Apart and proceeded to see lots of TV spots for the movie, we were intrigued by story. However, we knew it was based on a book and, as bookworms, wanted to read that first before watching the movie. Now that we’ve finished reading the novel and seeing the film, we’re comparing the two to see how they stack up. Book: Obviously the book allows for a more developed story that includes smaller storylines and conflicts that contribute to the main plot and conflict. So in addition to the problem of Will and Stella not being able to have a normal romantic relationship because of their cystic fibrosis, the reader sees how other storylines, like Stella’s parents’ divorce, affect the central one. Because of that, the story is deeper and more complex, providing internal and external conflicts. The story also has good pacing and timing and nothing really felt rushed or too drawn out. Movie: The movie puts lots of focus on central conflict of Will and Stella’s cystic fibrosis-affected relationship and doesn’t really incorporate any of the other, smaller storylines that were in the book. It simply hinted at them, like Stella’s parents’ divorce and how that affects her and Will’s rocky relationship with his mother. Because it’s a movie and things generally need to happen faster, the movie has pretty quick pacing and story progression. February 20 was a good day, and here’s why: because on that Wednesday, that Wednesday you watched Dear Evan Hansen at the Nederlander Theatre and sat in the orchestra after winning the ticket lottery. And it’s a good thing , because you both knew it would be the only way you’d get to watch the national tour production during its Chicago stop. When the presale started, neither of you had enough money to buy tickets, so you had to wait for the general sale. But then you saw the ticket prices, and they were absurd. Neither of you could afford to pay over $100 for a single seat in the balcony―on a weekday! And then you kept checking ticket availability, and it was basically sold out with the exception of a few Wednesday matinees. So you both decided the lottery would be your best bet at getting tickets. Who knows how many people you’d be competing and entering with, but why not try? Fast forward a few months to February 11, and you both set daily alarms on your phones to ensure neither of you would forget to enter the lottery right when it opened at 9 a.m. every single day (except Sundays because there are no shows on Mondays, so why would you waste your time to set a useless alarm only to realize there was no lottery to enter that day?). Eight days, nine shows, and twenty-one rejections later, one of the emails finally said something other than “Lottery Results: Try Again”. Rather, one of Ashley’s said “STANDBY”. 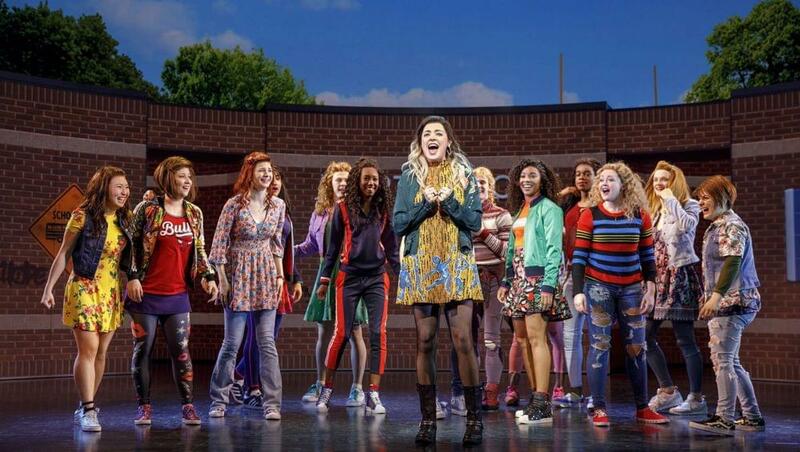 Songs in musicals are not only entertaining but play integral roles in telling stories, explaining situations, and detailing how characters are feeling. In honor of International Women’s Day, we’re featuring some songs from Broadway musicals that are sung by female characters and show strong emotions while conveying a message of feminism and female empowerment. This angsty song is all about individuality, staying true to yourself, and forgetting about the stereotypes society has placed on women and girls. In the song, Wilbert Reed, who plays Janis, literally sings “And here’s my right finger to how girls should behave.” Her right finger referring to her middle finger, this line is the essence of the song. It echos the idea that Janis would rather be who she wants to be, regardless of what others think, than to be friends with someone who would disagree with that idea, someone who would pull her down. Perhaps the most popular duet (no pun intended) from the hit show, “For Good” is a wonderful example of the power of a strong female friendship. They literally sing “Because I have known you, I have been changed for good,” and isn’t that the goal of all friendships, especially those with your girl gang? Women should lift up and support one another and help make the world a better place, and Elphaba and Glinda have shown us that we can do it one friendship at a time. When it comes to snacks and sweets, we have always been partial to Oreos. Cookies and cream has always been a go-to ice cream flavor, and Oreo products are always a must-have. Interestingly enough, while we’re always up for a classic Oreo cookie, we prefer to have Oreos as a featured component in other snacks. We love making Oreo cupcakes, toss Oreos in brownie batter before baking it, and have even put Oreo pieces in our pancakes. When we find out about a new Oreo snack product, like Oreo churros, we make it our mission to find and try that snack. When we found out that Disneyland has cookies and cream bread pudding at Disney California Adventure, we found a recipe for it and made some for ourselves.